So the holidays have already semi-officially begun around here. The weather is crisp. The grocery stores are packed and the smell of cinnamon and baked goods permeates the air. The kids are excited for a shortened week of school and there's a giant turkey in my fridge. Yup, we're on our way to Thanksgiving. and the roosters...chickens...that currently reside in my living room. Next week, Santa can come out of hiding. This week is all about poultry. Although...hints of Christmas have popped up in my mailbox. Gifts...or should I say winnings? This week when I unlocked my box, I found a key inside! Written on the chain were instructions to use it to open another, larger box, lucky number thirteen. What? I am new to this whole PO box thing, so this felt like a scavenger hunt. Very cool. But not as cool as what was inside! This beautiful gift is from Julie of Julie's Lifestyle. I won her anniversary giveaway. Happy Anniversary, Julie! 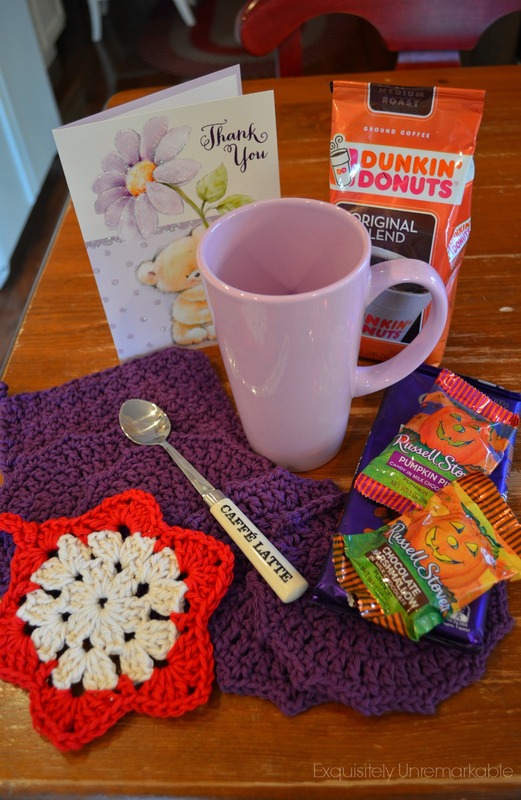 She put together the most wonderful goodies, including hand crocheted potholders. I told Julie that I needed to snap a picture quickly, because my family was trying to open the snacks and devour them. Such is the life of a blogger! I have been drooling over Julie's crocheting skills for years. Last year, Santa brought me some yarn and hooks. I still haven't opened them. This year, maybe I should ask the big guy for some time to learn...or, better yet, a visit from Julie! As if that isn't enough, I also won this beautiful print from Jemma at At Home With Jemma. I just adore the rich color. Right now, it has made its home on my kitchen plate rack. I have been toying with the idea of moving it to my master bedroom or bath...if...IF I can convince my daughter, that even though her room is blue, it was my win and I would like the chance to enjoy it for a bit. Apparently, nothing is safe from the grip of my family. However, considering my gifts, I think that just means that they have really good taste! The third treasure (good things come in threes!) in my mailbox was very unexpected. It was this lovely set of Story Beads from my friend Deb at LaPadre. They were a gift, custom made to tell the story of my new journey, helping me to bridge the gap between raising a family and writing a book. There's never enough time in the day, I am not good at saying no and Deb has created a symbol for me, that will remind me that I don't have to choose between one or the other. There is room for both, I just have to see it. And I believe her, you know why? Well, Deb is the one who told me about this fabulous Italian Prosperity Jar that I shared a while ago. I just won three giveaways in a row. I'd say that's pretty prosperous. The instructions were very easy to follow and I guess I did it right, considering my luck and my lack of kitchen prowess. I just hope that the recipes I whip up for the big Thanksgiving meal goes this well. Did I mention I'm hosting and that I'm not a big cook? Hmmm. Maybe my guests need a prosperity jar, too. I wish you all a prosperous week and to my friends in the states, a wonderful Thanksgiving! Yay for prosperity!! (Insert flailing Kermit the Frog arms here!) 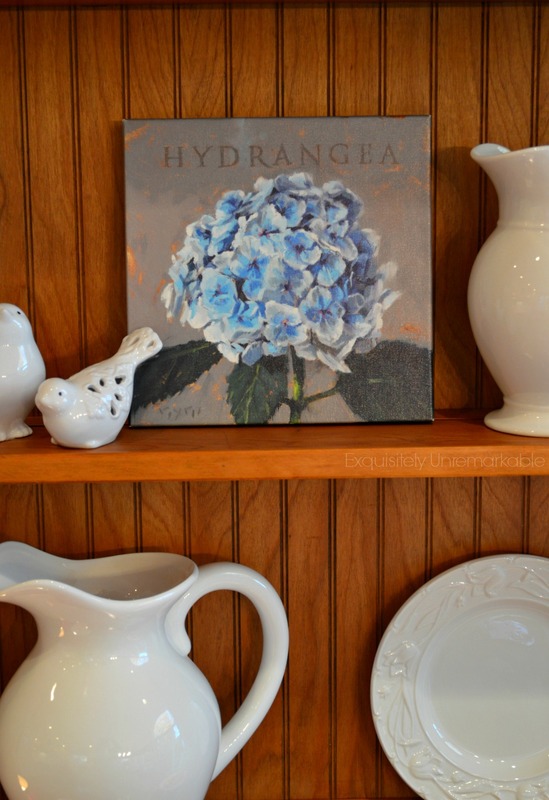 The hydrangea is GORGEOUS! And I, too, long to crochet better than the 1 stitch I know. Maybe one afternoon. 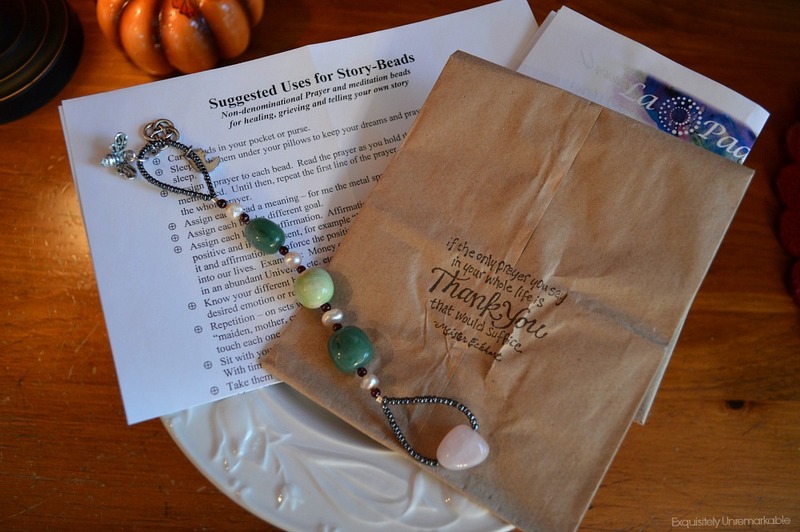 When you're not using your Story-Beads to keep on track! Now you've got me curious about this Italian Prosperity Jar thing......off I go to do a little more snooping around on this one!!! And apparently I also need to find out more about Story Beads...so much I still need to learn, huh? Well you lucky girl you! 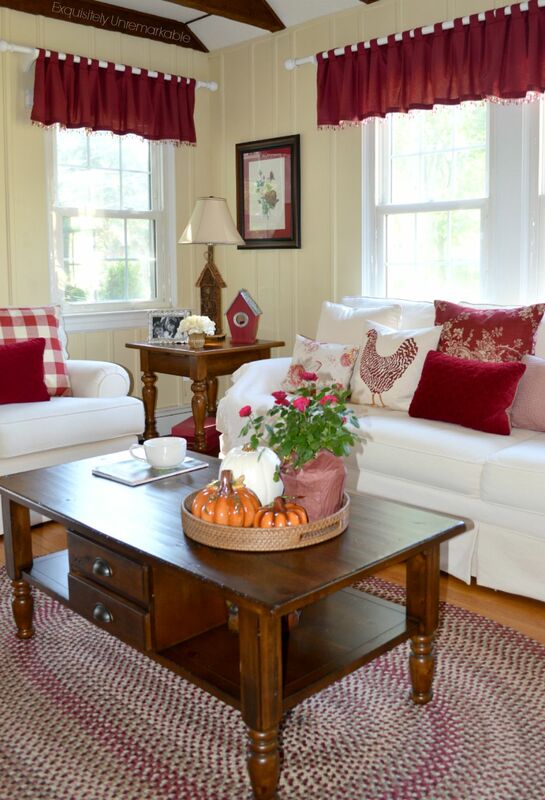 I just adore your red and white living room. Wow, congratulations! You are on a winning streak! Enjoy the beautiful gifts and Happy Thangsgiving. You are one lucky woman. Congrats on your lovely winnings. Someone need to buy a lottery ticket!! Congratulations on all your beautiful gifts from blogging friends. Fun post. Wow, you are a lucky gal. I need to get a prosperity jar going but I have a couple of questions that I hope you have the answer to. Does the jar have to be a certain size? Do you need to create your own prosperity jar or can you gift one? I am thinking it would be fun gifts for my sister, brother and kids but I don't want to start rumors if I all of a sudden start buying bourbon by the case. So maybe pint jars? Did I miss a post where you talked about writing a book. Sounds exciting. Hey Lorri. I went straight to the source for the answers to your questions. Check down a little bit, Deoborah answered you! AND...you didn't miss anything. I never wrote about writing the book. Right now, it's just a vision, but I'm hoping to change that...Happy Thanksgiving! Thanks Kim and Happy Thanksgiving to you too. I hope your vision comes true. You are a great writer. I recently started writing a short cookbook. Not sure if it will ever get done but so far the writing is fun. That may change. Perhaps we can encourage each other. That sounds so exciting Lorri. I am sure that your cookbook will be fabulous! I would love an encouragement partner! Fabulous!! Congrats on your wins Kim. Enjoy the week and Happy Thanksgiving! Okay- YOU must have been bitten by the LUCKY BUG! lol I love it- Three wins like that all at once. Amazing! Love that Italian prosperity jar thing! Hi Lorrie! 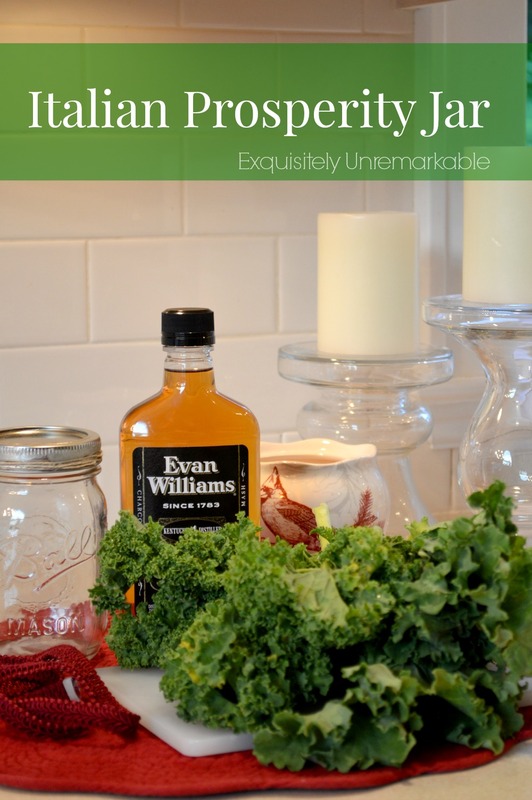 Small jars are just as good as larger ones - no need to buy the liquor store out of bourbon! And yes! you can absolutely make them for others. Try to hold a clear vision of the person you're making it for in your mind and heart as you create it. Hope that helps! Thanks Deborah! That sounds great. I appreciate the quick response. I may even have time to get to the liquor store before thanksgiving! My kids will be home and it would be fun to send one home with each of them. 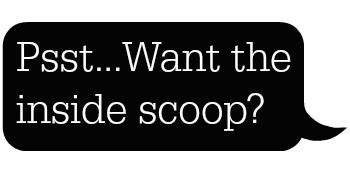 Do they eventually need to be replenished? I have asked this question myself and Deb told me that when the kale starts to turn white and pale, it's time be refreshed. I made mine over the summer and so far, it still looks fresh! Happy about all your wins . . . Congrat's! Happy turkey fixin' and enjoy all that THANKFUL . . . Thanks much, Lynne. Happy Thanksgiving right back to you and your family, my friend! :) Enjoy. So much to be thankful for! I love each gift. 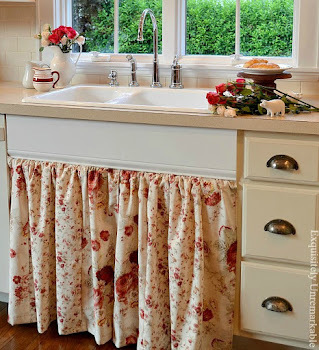 I also won a blog give-away this past week from Cottage at the Crossroads - a fountain kit, something I have wanted for years. I'll be dreaming of spring when I can set it up on my screened porch. Lucky you!! That's an awesome win, Jenny. Sounds like you received an early Christmas gift, too. ;) Happy Thanksgiving! Soooo happy you won the trifecta of giveaways!!! Awsome! Could not have happened to a nicer more giving person than you. So glad you got all these treasures in one week. Have a great Turkey day. Enjoy. Blogging has the most generous women I've ever connected with...so happy for you and the lovely gifts you've been given. Wow, lucky you! Hope you have a great week and a happy Thanksgiving with your family. Thank you, Kristi!! Happy Thanksgiving to you, too! That had to have been a lot of fun..so many lovely surprises in one day! :) Enjoy your Thanksgiving and I don't do Christmas early either. Thanks Deb...yes. so many lovelies! Wow Kim!!! Congrats on all of the giveaway wins!!! You deserve it and I would love to teach you how to crochet! Thank you, Julie. I love my treats…thanks again!! :) Happy Turkey!! Happy Thanksgiving Kim! You know every time I see your beautiful red wreath, my heart skips a beat! You’re so kind, Jemma…it’s that red. Gets me too! ;) Happy Thanksgiving. Happy Thanksgiving my lucky friend. :-) Enjoy! We are the same,we wait until after Thanksgiving to do Christmas. :-)) One holiday at a time. Yaaay for you!!! I can't think of a better winner!! I hope you have a lovely Thanksgiving day and a blessed holiday season! Congratulations! Such lovely gifts from lovely people! Hope you and your family have a most wonderful Thanksgiving!! And yes, you can do it all...just reach for what you want! Hugs!! Thank you, Benita! You’re right…lovely ladies, one and all! :) Hugs! Congratulations! That was quite a windfall and all such lovely gifts. wow, you are one lucky lady! 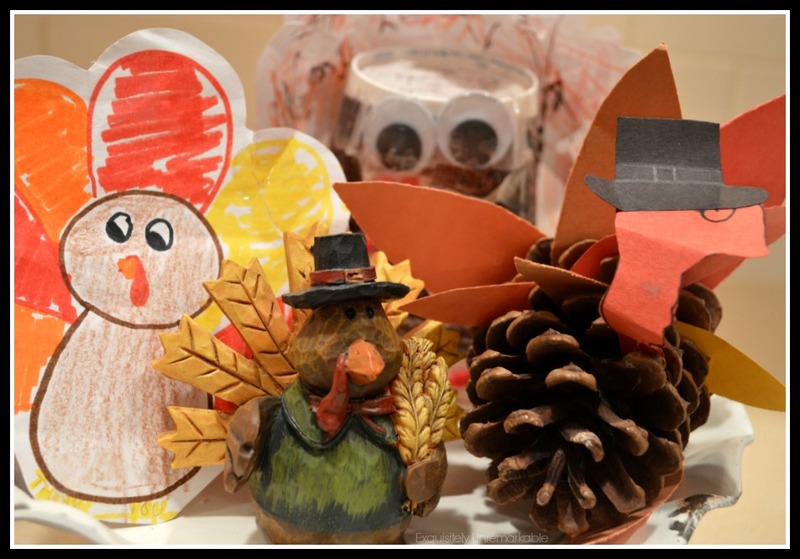 Love your turkey decorations, I assume the kids haave been busy making all kinds of crafts for the holidays! I must admit, I started decorating for Christmas.............I'm not hosting Thanksgiving dinner so I thought I'd get a jump start. It has been a rule for me to wait until after Thanksgiving to decorate, I succumbed this year and I'm feeling a little guilty, I must say! I have been sorting as I go though, hoping to downsize a bit and get rid of those decorations that I don't want to put out anymore. So next year I won't have as much to put out! Have a very Happy Thanksgiving Kim! Just love your touches of Fall! So pretty and I am just so partial to red! Lucky girl! Great wins for you. I was coveting that Hydrangea sign....so happy for you. BTW, I had to google your blog to get to you. The link in the email sent me to Go Daddy....what?? That happened recently to me with Doreen's blog, Househoneys too. What lovely gifts! A very lucky gal indeed! Have a wonderful Thanksgiving... and enjoy all of those goodies! Three blog winnings in a row...wow! Maybe you ought to buy a lottery ticket! I've never heard of that Italian Prosperity Jar and I read the post that your link led to, but I'm still not understanding what the kale and whiskey have to do with anything?! lol I will Google it. I am with you - I don't decorate for Christmas until after Thanksgiving. I am still enjoying my fall decorations and pumpkins! I will probably start dragging the Christmas stuff out this weekend. Happy Thanksgiving to you and your family! Thank you Judy. I am just thrilled with my gifts. Happy Thanksgiving! Lovely post with some lovely pictures. Happy Thanksgiving - enjoy this special time. Wow what a blessing to win so many awesome goodies! I am new to your blog and am really glad to have discovered it!! Happy Belated Thanksgiving wishes Kim, to you and your family. You have been very lucky indeed, and even before Black Friday has begun! Congrats on all your wins!!! I just clicked over to your post on the Italian Prosperity Jar and I think I'm going to try it! It certainly can't hurt, right? 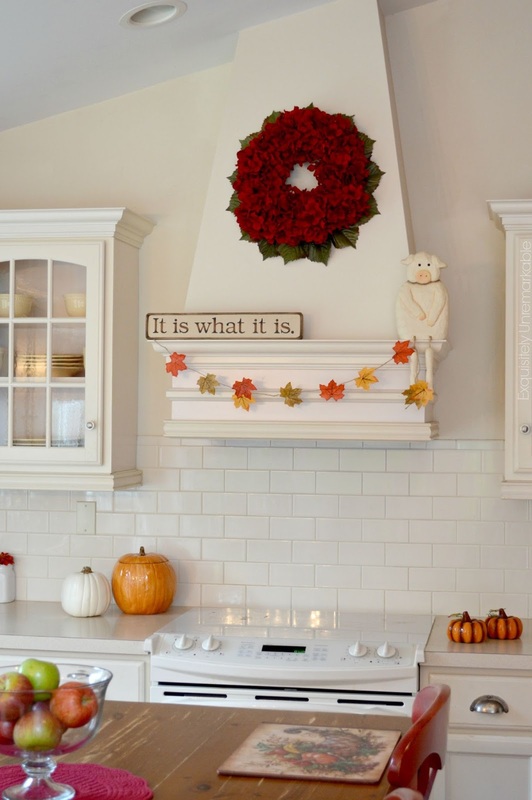 :) Oh, and I love how you added the red trim to the jar as a decoration. ;) Hope you had a lovely Thanksgiving!